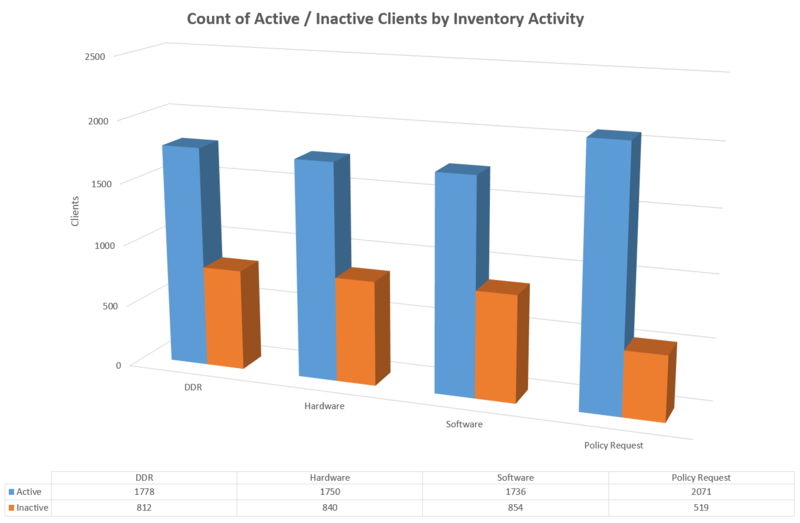 In my last post, I demonstrated how we can retrieve software inventory information for a single ConfigMgr client or an array of clients, using PowerShell. 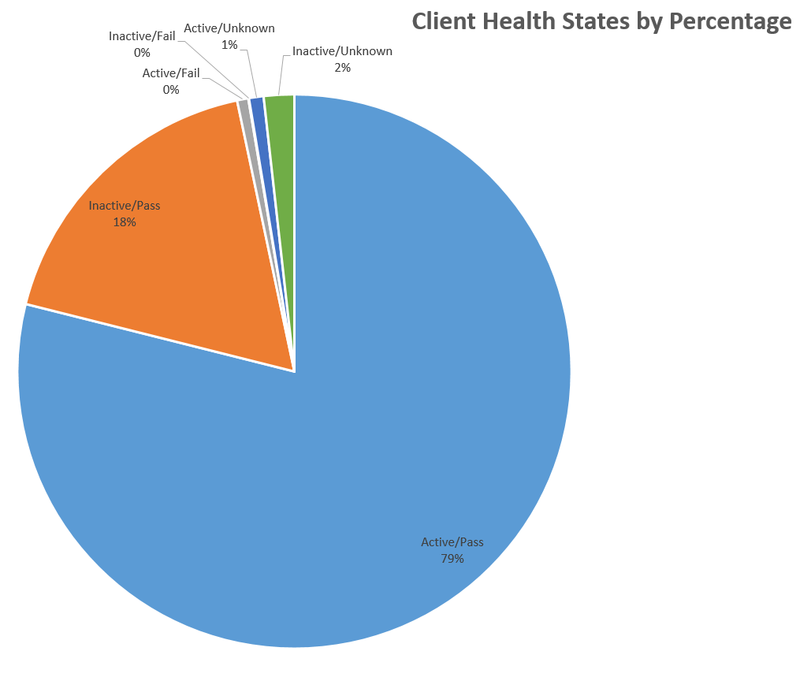 In this post, we will change the scope from the client to the entire site. 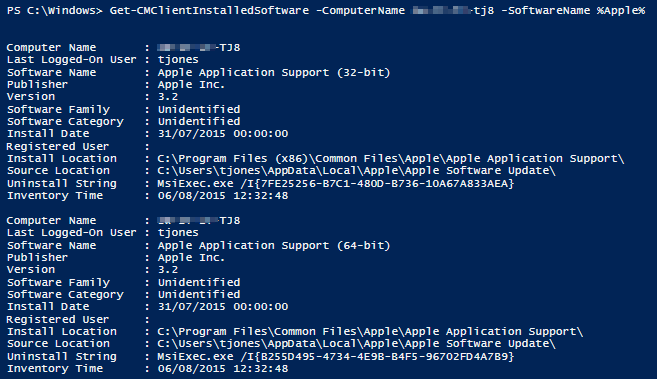 Using this script, you can query for all installations of a specific software/s in your ConfigMgr site, returning either the count, or the full list of machines with the software installed. When I say “software inventory”, I’m actually referring to the “hardware inventory” process (strange but true) in Configuration Manager that collects data from WMI classes, including the installed software, and not to be confused with the “software inventory” process in ConfigMgr which is used to inventory file types. As previously, you need ‘db_datareader’ permission to your ConfigMgr database, with your logged on account, and you need to add the sql server and database name in the script. 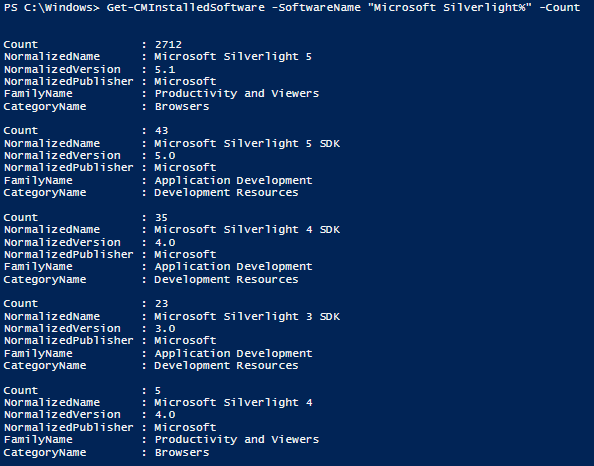 $Path = "$env:TEMP\SoftwareQuery-$(Get-date -format hh-mm).csv"
Here’s a simple but handy PowerShell script I wrote that uses the ConfigMgr database to retrieve software inventory information for any client. You can return the entire inventory for the client, or search for specific software. You can also pass the computer name and/or software name along the pipeline to the script, so you can search multiple computers or multiple software titles. You need ‘db_datareader’ access to your ConfigMgr database with your logged-on account, and you also need to add the ‘Installed Software‘ class to your hardware inventory classes, in your ConfigMgr Client Settings. Update the $SQLServer and $Database parameters with your ConfigMgr SQL server (and instance if applicable) and database name.